This is a phrase we hear all too often, with the anonymous ‘they’. But who are ‘they’? The most likely answer is that the majority of our general public do not know who is responsible for what. Is it the Town Council, West Lindsey or County Council’s responsibility? Maybe even a private owner? We all want Market Rasen to be a more attractive, clean place to live and work, but with the best will in the world, the Town Council has limited resources and cannot work magic. Last year, the Mayor introduced an ‘adopt a verge’ project, when the County Council announced that grass verges would only be cut twice during the summer. Many people did this and cut the grass on the roadside adjacent to their property. We feel that the project worked and the town’s roadside areas were kept looking tidy. We take great pride in our public play areas and De Aston Field has come on tremendously over the past five years and is now an attractive part of the community. We invest in our recreation areas and the new Skate Park is a shining example. We work with local groups, such as the Lions who, with us, sponsor the beautiful flower planters in the Market Place. The Station Adoption Group maintains the platforms and the approach to our railway station. We have joined forces with the Royal British Legion and the Military Veterans to buy a fitting dedication to our Armed Forces personnel, past and present, in the shape of a new commemorative bench now installed by the Cenotaph. 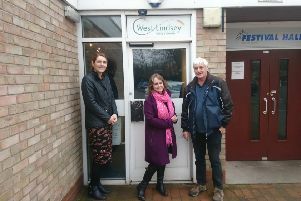 We work with West Lindsey to have absentee landlords served legal notice to maintain and improve their properties when they fall into disrepair. We are constantly on to Network Rail about the problem with pigeons and report each and every pothole to Highways for the safety of our drivers. But, it is down to the people in our community to take care of our town. Look after the area in front of your house or business. Don’t litter the streets. Help us to help each other.